Waterlogged soil is not the same as boggy soil which is wet all year round so plants that like to permanently have their roots in water can grow. Soil prone to waterlogging is a different matter as it often dries out for part of the year, it is a much bigger challenge for plants to grow in it. Such conditions are found fairly commonly, particularly in newly built housing, fortunately the extent is usually limited, but often there's a "soggy corner". This is where most plants that go in are pulled out a few months later brown and shriveled above ground, wet and smelly below. There isn't a great deal of choice of plants due to the difficulty of the conditions but there are sometimes surprises of what will survive. There is a fairly straightforward answer in a lot of cases and that is to dig in lots of organic matter and also small gravel - pea shingle but not sand. This won't of course address major problems that need proper land drains, but will frequently help in that soggy corner or at least increase the range of plants that will grow there, if you have such an area improve it in this way before planting and during the planting of anything at all. 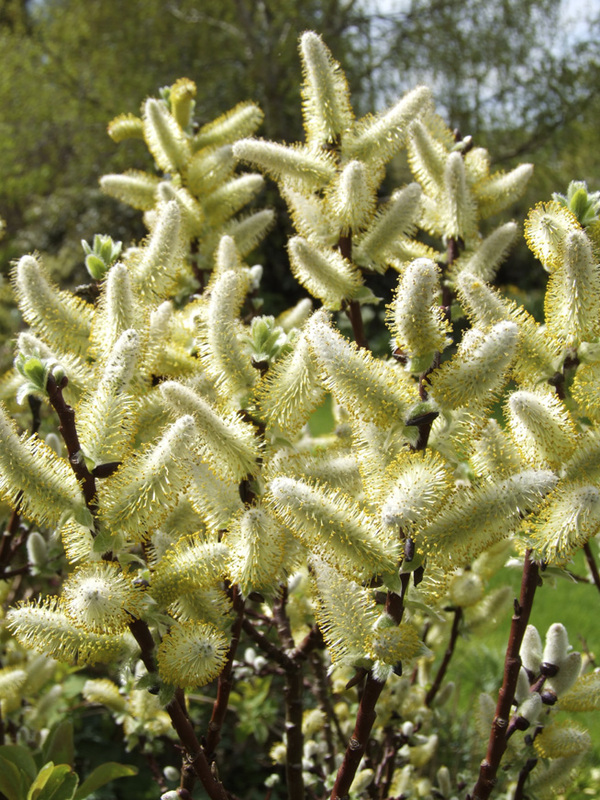 One of the best shrubs for waterlogged areas for most gardens. 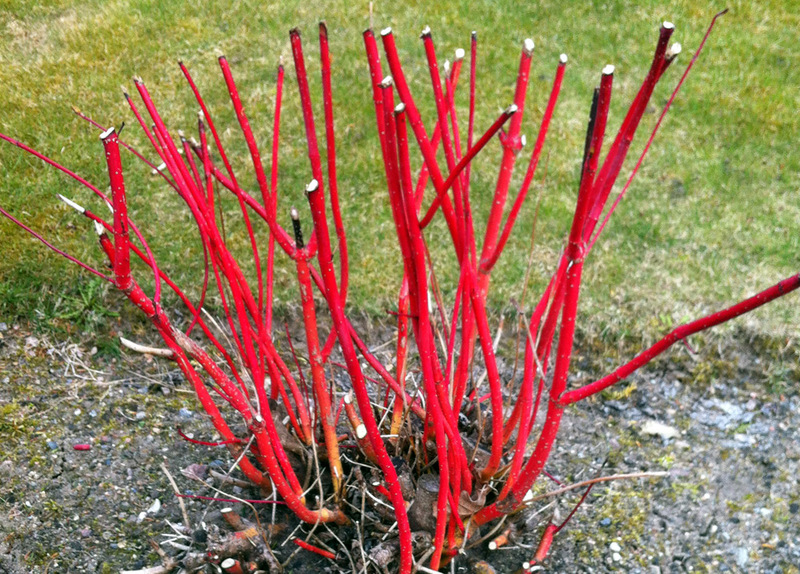 Dogwoods are often grown for their winter stem colour which is red or yellow. There are also varieties with attractive variegated leaves. Unfortunately the best ones for stem colour have ordinary green leaves and the best ones for leaf colour have duller stem colour, so you pay your money and takes your choice. White flowers in spring as a bonus. 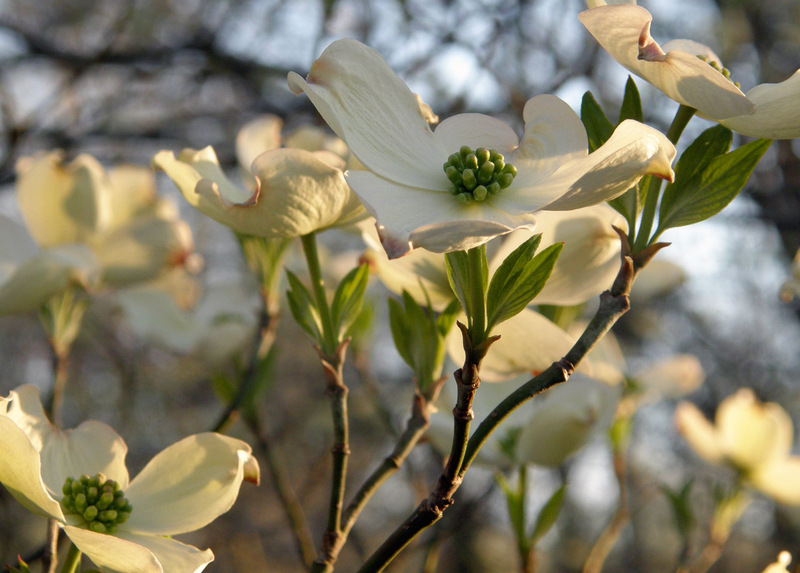 Dogwoods tolerate the wettest soils. I've had them survive happily when at planting the hole I had dug filled completely with water when I turned round to get the plant. For leaf colour; Cornus alba "Elegantissima", white margined leaves, C. alba "Gouchaultii" pink flushed yellow margined leaves, C. alba "Spaethii", broadly yellow margined leaves. For stem colour; C. alba "Sibirica", plain green leaves, bright red winter shoots, good autumn leaf colour. C. stolonifera "flaviramea", bright yellow-green winter shoots - these are also two of the toughest dogwoods. All types best treated as coppice stools for best stem colour and to stop them growing into a small tree. Once established after 1-2 years, cut stems back to within 6" of ground level in Feb - March. In this way lots of new brighter shoots and leaves are produced each year. 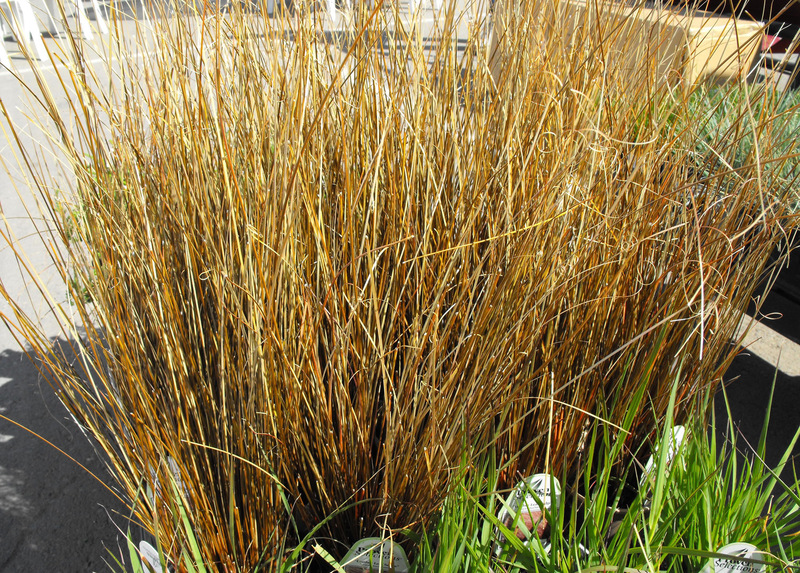 Many Carex species are bog plants and so may not take too kindly to the wet / dry nature of waterlogged soils. One that I do know that works is Carex buchananii - red fox sedge. Brown / orange leaves growing up like a fire-work coming out of the ground to about 18" and then tapering away to an indefinite curly tip. Tolerates the wettest of soils. 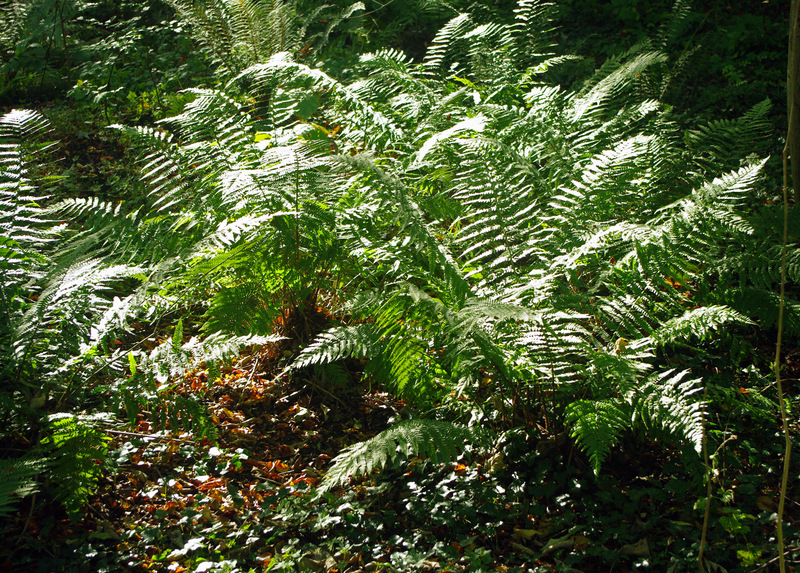 They work very well contrasted against green leaves, gravel or boulders. May be worth trying other Carex varieties. 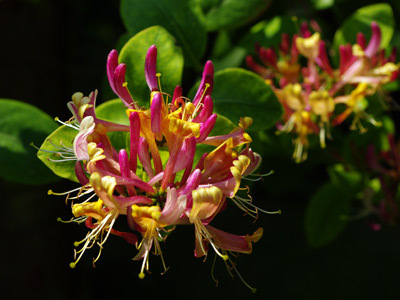 I don't know of any really wet-tolerant climbers, but have had honeysuckles survive in some pretty awful situations. If the soil smells - don't plant one. If in doubt then take cuttings and try planting one of these rather than buying a big healthy plant in a 2-3L pot for about £20 which you may then watch die. Only for the largest of gardens, these need to be about 40m (130ft) from any buildings to prevent damage, and they're all large trees anyway. If you've the space P. alba, white poplar 70-130ft high and to 50ft wide, is attractive with white undersides to the leaves. 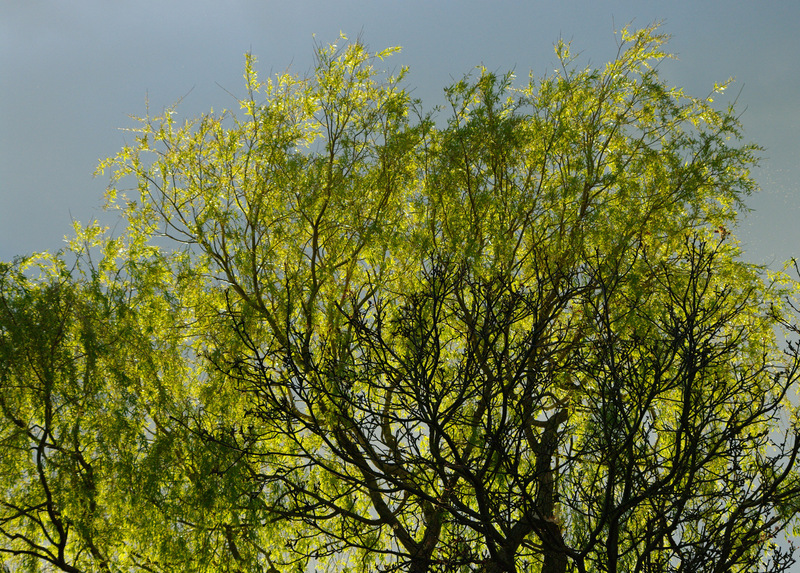 Looks wonderful when the breeze rustles the leaves and animates the whole tree. Can also be used for hedging when clipping should keep it under control. Good old Pyracantha, one of the most useful shrubs in the garden quite stunning in the spring covered in frothy cream flowers and then again in the autumn when heavily laden with berries. Withstands a fair amount of wetness, but less than most on this page. Upright evergreen shrub with white spring flowers and autumn / winter berries of various shades, (depending on variety) of red, through yellow and golden yellow to orange. Viciously thorny and makes a good burglar-proof hedge or spot planting against vulnerable downstairs windows, fences etc. 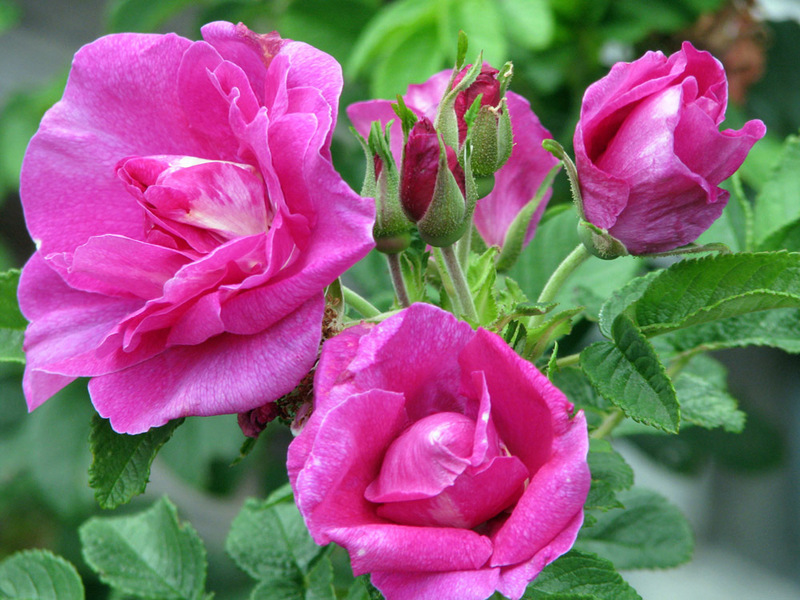 Can be grown as a free-standing shrub or trained against a wall or fence. Easily trained and takes hard pruning well, effective as an informal hedge. 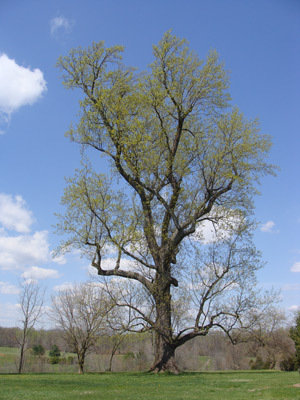 Most species enjoy wet conditions, but CAUTION, many of them grow into large trees and are one of the worst culprits for causing housing subsidence through their root spread. Don't plant the large types unless you have a very large garden, and then plant well away (40m, 130ft) from buildings. All have decorative catkins in the spring and many have leaves lighter in colour underneath that shimmer when blown about by the wind. A Smaller safer version is S. caprea "pendula", Kilmarnock willow, Height and spread about 5-6ft, S. about 2ft high and wide, often grafted onto a stem 4ft high. Note that these are both grafted onto rootstocks which may produce suckers that should be removed otherwise the whole plant will revert to the rootstock variety and outgrow the graft. Not a likely candidate for wet soils at first glance as it is often grown on well drained sea-side soils. I discovered its wet-tolerance when I planted it by mistake once (i.e. I wouldn't have if I'd known) in a dried out waterlogged soil in the summer. 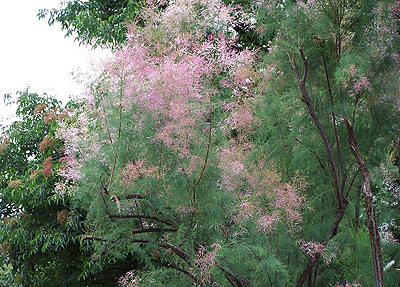 By the next spring whereas some other plants around had died, the Tamarix was doing well. Withstands a fairly high degree of wetness, but don't bother if the planting hole fills with water as you're digging it. Graceful shrub to small tree, wispy frothy pink flowers produced in summer. Height and spread to 15ft. Others that might well work, but I haven't tried personally. The problem is that dry period rather than permanent wetness. If experimenting try planting small plants rather than large ones as small ones tend to establish better and you may get more success with something in a 9cm or 1L pot than something that comes in a 2 or 3L pot or bigger. (they're also less expensive too if they fail).